I’m house-sitting my daughter’s house, horse, two dogs and two cats. It’s an opportunity for me to binge on television watching, since I don’t own one. And it means I don’t have to walk up and down three flights of stairs several times a day to take my own canine companion Pepper, who fits in quite well with my daughter’s menagerie, outside to do her business. I simply open the door and all three dogs go outside. They do their business while I simply sit on the porch and watch the desert outside my daughter’s back door. 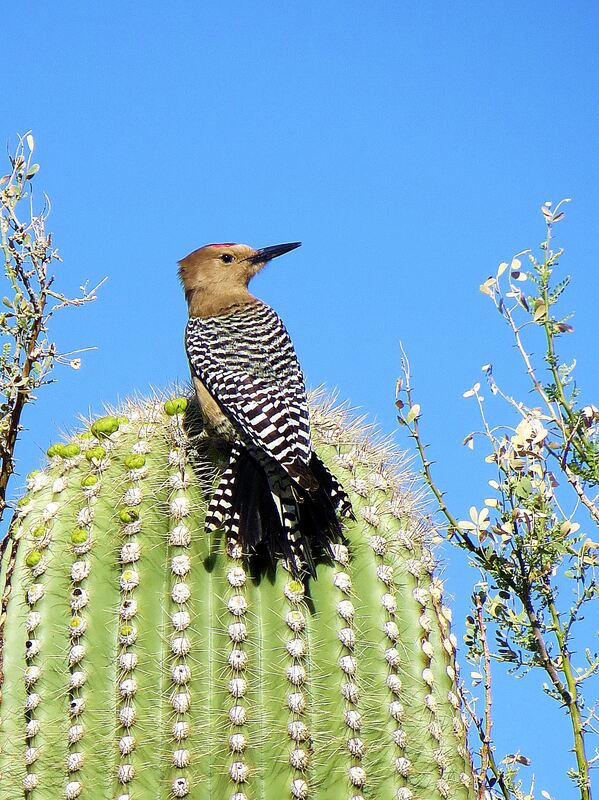 There’s almost always a gila woodpecker in one of the nearby saguaros and several Gambel quail scurrying about. And on this stay, the backyard has also been full of curved-bill thrashers. While the yard is unfenced, all three of the dogs stay close by – as do I since the day I discovered Pepper in the horse coral, not more than 100 feet away, surrounded my three coyotes. 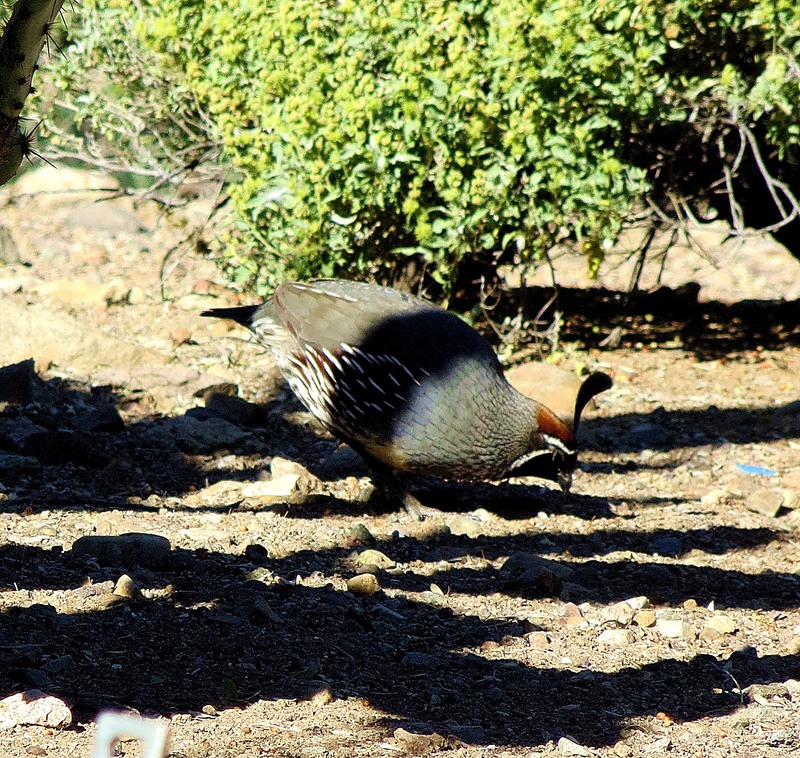 You can bet your wad on knowing that this mama immediately turned into a screaming maniac and chased the varmint trio back into the desert. I really liked coyotes until that day. But back to my tale of woe: Somehow or other I messed with the remote control – or perhaps it messed with itself – so I can’t watch TV. I have absolutely no idea how to get it back to the setting my daughter put it on for me before she left. I also can’t figure out how to change the thermostat, which I asked my grandson, JJ, to turn down when I was fixing him dinner last night. And now he’s at his summer job all day while I have to wear a sweater in the desert because the house is too cold. All this technology stuff I can’t do reminds me of when I bought my first computer – and discovered a six-year-old granddaughter knew how to operate it better than I did. You would think I was born in a different era. Oh yes. That’s right. I was. 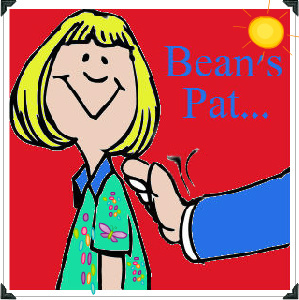 Bean Pat: Diane Henders http://tinyurl.com/zq7a4x2 Reading this blog made me feel better about my technology black hole. P.S. JJ fixed the remote and showed me how to work the thermostat. So I’m now comfortable and can watch television – well except there’s nothing worth watching on it. Well, technology is there mainly to confuse us, isn’t it? OMG, you are telling my technical skills story! Except that you and your four-legged friends are in a lovely desert setting. A great story, Pat! Thanks! I told you you would laugh. Wow I can only imagine you flapping your arms and driving the coyotes out into the desert. picture with arrows how to really operate it! I sure know the frustration well! Let’s be up front about this Shanna. Your Mother and the daughter I house sat for are sisters — and they both have three flinking remotes to operate their tv and related stuff. Where did I go wrong. Interesting thought. I, too, can get along in the tech world when I have to do so. But I don’t own a TV.